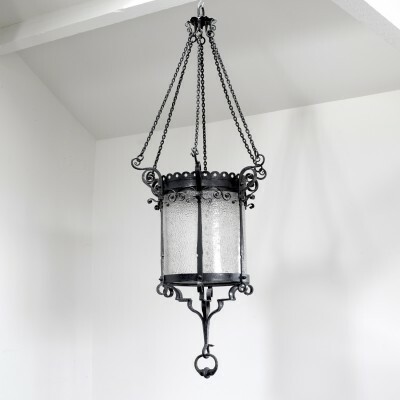 Late 19th C. brass hall lantern with opalised shade. 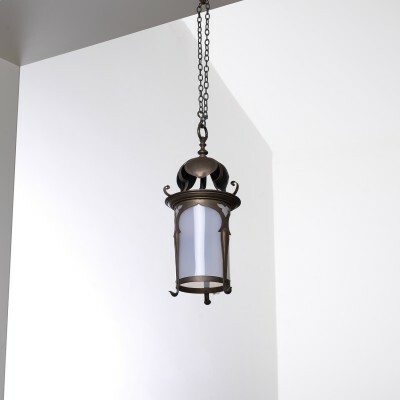 Late 19th brass hall lantern with opalised shade. 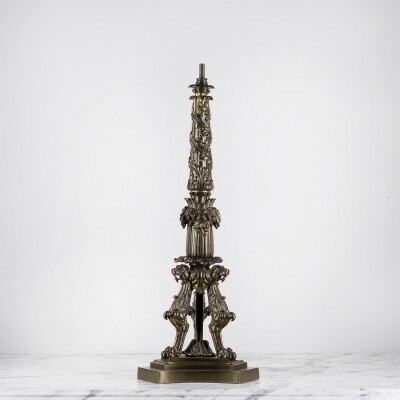 19th C. brass column lamp on a monopodia base.